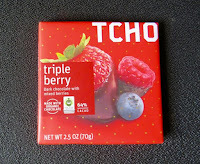 Greetings and a berry good day to you all. 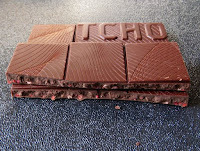 Welcome to Day #7 of Chocolate and Berries Theme Week. 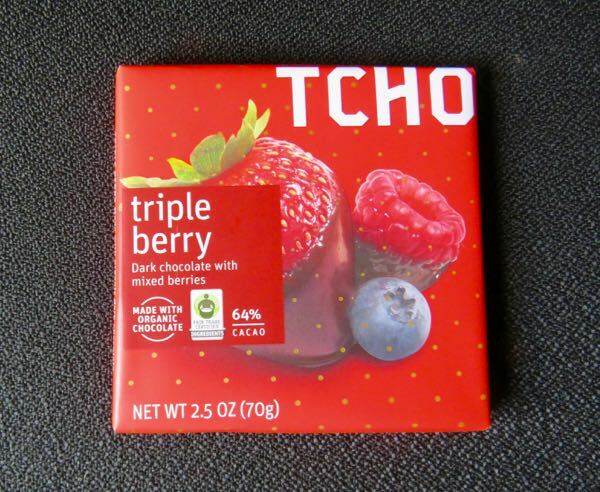 This Triple Berry bar from TCHO (Berkeley, CA) had robust but smooth 64% dark chocolate and berry fruit flavor—supplied by a blend of tiny berry bits (freeze-dried strawberries, freeze-dried raspberries and freeze-dried blueberries). 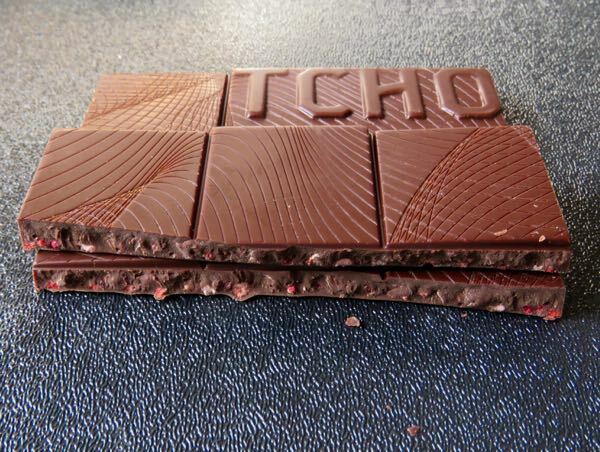 The Triple Berry bar had the complex cacao aroma of a much darker bar, but it was more friendly (less harsh) than anticipated, without being too sweet or watered down. 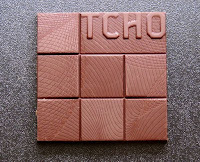 A better than expected bar with well-balanced flavors and textures.